Apple held its annual World Wide Developers Conference (WWDC) keynote on Monday with announcements focusing on three key areas in the Apple ecosystem. Continuing with Apple’s recent naming tradition, Mac OS X has location-based names rather than the cats. El Capitan is a rock formation in Yosemite National park. Rather than the major changes in previous operating system announcements, MacOS 10.11 features more evolutionary changes. The update is free and should be available in the Fall. Any system that runs Yosemite can run El Capitan according to Apple. Microsoft’s Windows has already had this feature since Windows 7, but now you can easily do a side-by-side view by sliding your open windows. Apple calls this Split View. Apps like BetterTouchTool already help with this in previous versions of OS X, but now everyone running El Capitan can use this feature. Siri works as a center of information on iOS and that experience is moving towards your Mac. With El Capitan Spotlight can find sports scores and schedules, weather and other information you already ask Siri. If you’re looking for photos from a particular vacation or a person, just ask. 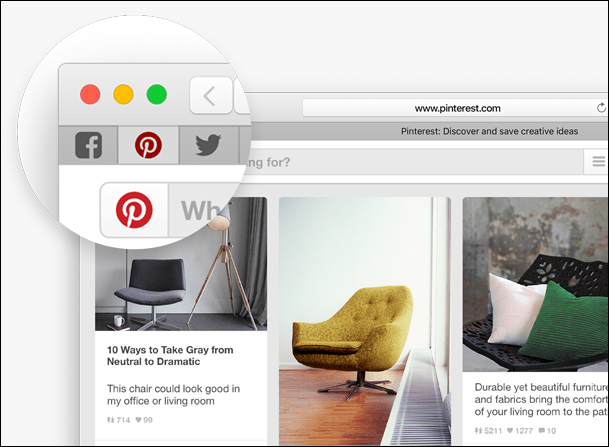 Instead of just having tabs or bookmarks, you can pin a site to your browser window. When you follow a link, those pinned sites stay there. When audio’s playing in a tab, you can mute just that tab. These are features that Chrome already has with extensions. Apple has added many additional small features like a few more gesture swipes, promised performance increases, and a handy way to find the cursor when you wake up the Mac. Apps like Notes and Maps that are also on iOS got some updates also (see below). As expected, Apple announced their new iOS operating system. Unlike many previous releases where support for older models is dropped,, iOS9 works on all devices that already run iOS 8. Some features require a newer iPhone or iPad. The new Spotlight features of El Capitan we discussed above are also part of Siri on iOS 9. Siri understands more natural language requests and adds more granular locations. Your iPhone will know which room you are in your home. Although Google Now users will groan, your iOS device will do things like estimate how long it will take you to get somewhere. Apple’s spin is that Siri uses time, location and history to figure out what you want to do next. Apple gave the example of playing music when you go to the gym and plugging in the headphones but playing your audio book when you go in the car. Siri and Spotlight can also search within apps. If you’re looking for recipes it can search across your recipe apps. The demo went flawlessly, and I dare to call her very intelligent now. Google users can giggle and Apple fans groan some more, but in iOS 9 Passbook is now Wallet. It lets you add loyalty cards (Dunkin Donuts but no Starbucks), membership cards (BJ’s but not Costco), and the Discover card. Apple Pay will work in many more locations with new retailers, Square integration (for small retailers) and support in the UK. 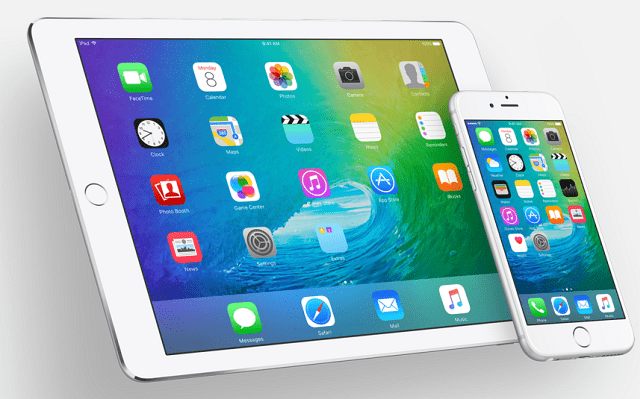 Some features will appear in July but Apple promised other features in the Fall with the rollout of iOS 9. Notes before iOS 9 was a great way to take some basic notes. Evernote fans have always been able to create task lists, rich formatting and add pictures to our notes. Now Apple’s Notes app has those features. When you’re in an app other than Notes, you can send the info directly to Notes along with a rich attachment like a picture or a web link. iOS is a mobile platform so it should realize you can’t drive everywhere. Sometimes you need to take public transit. Maps now shows you an overview of public transit details and will tell you more than just which line to take. It tells you times, schedules and even shows the locations of exits for large multi-block transit stations. This info is searchable with Siri and Spotlight. No matter what you like to read, News will deliver it to you. You tell it the news sources you like: RSS feeds, newspapers, and magazines and News gives it to you in a rich format. If you want to discover new content, the For You feature asks you a few questions to help find things to read. Content providers like the New York Times will give you a few free articles a month. The News app replaces the old Newsstand app that was in iOS 8. Just like El Capitan, iOS 9 lets you view your apps side-by-side and even picture in picture for videos. Full split-screen multitasking is only available on the iPad Air 2, although older iPads can still use picture-in-picture and Slide Over. The Quick Type keyboard upgrades the suggestion bar and task switching takes a card style approach. If your iOS battery is running low, you can put it into low power mode and get a few extra hours of battery life. Health Kit and Home Kit add new features and Car Play now works wirelessly. Those of us hoping for a “guest” mode in iOS 9 left the keynote disappointed. Although they didn’t mention it in the keynote, Move to iOS app moves your Android data wirelessly to iOS. 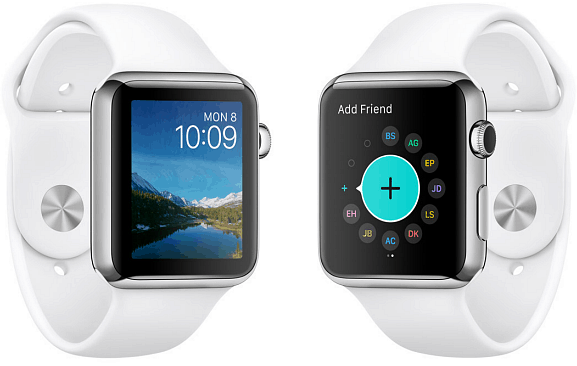 The Apple Watch operating system, watchOS 2, reminds me of the early iOS days: before apps and an App store. Now the Apple Watch will get obvious features like native apps, the ability to reply to emails and more interaction with the microphone, speaker and the screen. When Apple acquired Beats, most experts expected some kind of streaming music service from Apple, now called Apple Music. This new service is a logical extension of Apple’s brand. Instead of using one app for the music you bought and another for streaming and then yet another for radio, it’s all in one place. If you’re in the mood to listen to a song but didn’t buy it, no worries, Apple Music will play it for you. Apple explained that other music services guess what music you want to listen to, while Apple has experts who will figure out what song should come next. It’s subjective, but probably better than some of the other services. Apple’s For You asks you a few questions about your music tastes (just like the For You in the News app) and figures out what you’d like to listen to. If you like a little personality in your music instead of just a stream, Apple’s Music service has DJ’s all over the world who will “spin up” what they’d like to share with the subscribers. Do you remember Apple’s Ping service? It was designed to give you a social media stream from your favorite musicians. In this new version, artists share whatever they want with you. It could be what they had for lunch or song lyrics they haven’t released to the public. 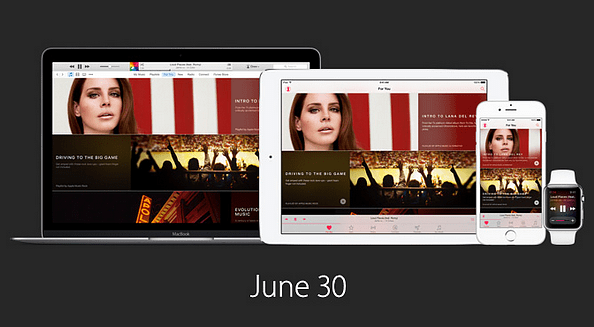 Apple is set to launch this service on June 30th. It’s $9.99 a month, but free for the first three months. For $14.99, you can share your subscription with six members of your family (however they define that). iTunes and iOS will need a minor upgrade to run this feature and Android users will get an Apple Music app in the Fall. Apple TV: we expected an announcement on this and the connection with Home Kit. It appears that we’ll have to wait to get any information on that…maybe this fall? 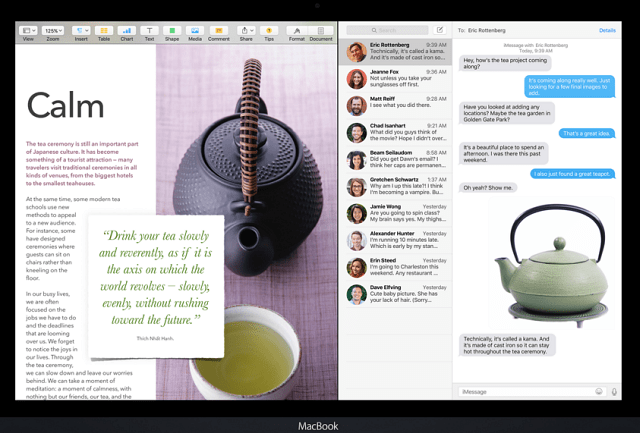 Apple has added some cool features to the Mac and iOS, but didn’t add too many killer features. Many of the highlighted features like window snapping or proactive intelligence are already on other platforms. The changes to watchOS 2 and Apple Pay added features that I thought should have been there from the beginning. Apple Music has the potential to be huge because Apple has the inventory and licensing structure to play most music I want to listen to anywhere. You have the opportunity to watch the videos that were presented during the keynote today, and Apple will have the entire keynote event up later today if you want to watch it in its entirety. 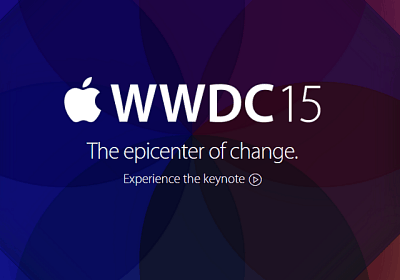 Updated 6/9/15 with El Capitan system requirements.